Sketched this up in the car with my favorite ballpoint while waiting for the boy at soccer practice, in anticipation of tonight’s debate and in light of the increased negative waves. 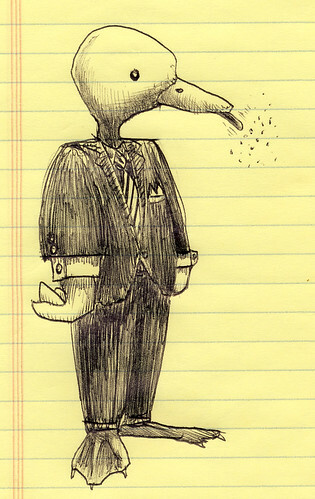 This entry was posted in debate, duck, negativity, politics, raspberry. Bookmark the permalink.